Sardines — the fresh kind, not canned — are among Mother Nature's great gifts. They are plentiful on both coasts, inexpensive, loaded with the omega-3 fatty acids health officials are crowing about and they are absolutely delicious. Sardines are a small schooling fish that roam the open oceans eating plankton and small crustaceans. They are, in turn, eaten by — well, just about everything — including people. Finding fresh sardines is a good reason to drop everything and call your friends for a feast. Sardines rot faster than almost any other fish — it's all those omega-3s — so buy a bunch and eat them the day you find them because you never know when you'll see fresh sardines at the market again. 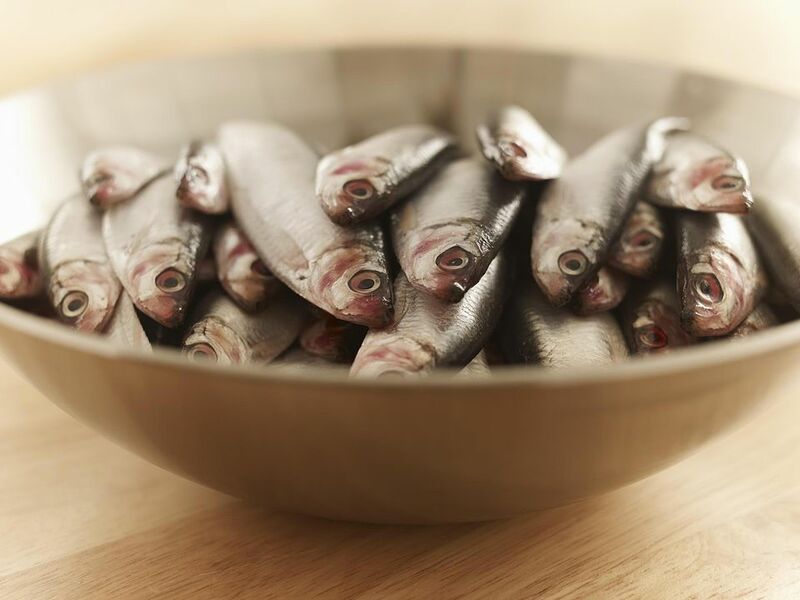 Look for sardines that are clean-smelling and whole. Try to avoid bruised fish, and definitely avoid any fish with "belly burn," a condition where the belly is broken and the guts are starting to come out. This is a sign of an old fish, suitable only for salting down. If your fish seller doesn't do it for you, when you get your sardines home, run them under cool water to remove any remaining scales and then gently gut them. You can store the fish under a slightly damp paper towel in your refrigerator until you're ready to cook them. Like with any fresh fish, avoid freezing them or you'll lose the flavor and healthful bonus that fresh fish provides. What do you do with them? One of the best ways to cook sardines is to grill them. Wrapped in grape or fig leaves, grilled over charcoal with olive oil and lemon, fresh sardines outshine pretty much any other seafood. But you do have to deal with the bones. The best way to do this is to split or butterfly your sardines. Do this and you will only have a few gossamer bones remaining, and they are soft enough to eat safely. You can also fillet fresh sardines and marinate them in salt, olive oil and lemon juice to make a Mediterranean version of ceviche. This is a common way to serve sardines in Mediterranean countries, where sardines are abundant at fish markets and on the waterfronts. Fresh sardines are also good filleted and baked. They go well with full-flavored sauces, especially tomato sauces. Spicy, citrusy salsas also work well. But the bottom line is this: If you find truly fresh sardines, simplicity is the key. Enjoy the rich flavor of the fish with little more than salt, lemon and a little olive oil. How Should You Cook up Your Jacksmelt Catch?